Hyundai motor america has added retailed vehicles to service campaign t1d. this service campaign provides a service procedure to update the ecm on certain 2017 model year elantra with 2.0l mpi engines. Hyundai motor america has added additional vehicles to service campaign tll. service campaign tll provides a procedure to replace the engine thermostat on certain 2017 model year elantra vehicles. If you are servicing an applicable vehicle with a shift lever that is difficult to move, follow the service procedure in this bulletin. This bulletin provides a procedure to transfer pressure data to the pcm using gds mobile. this procedure is necessary to reduce the tcm learning time and improve the shift quality. The shift lever on some 6-speed vehicles may intermittently not shift out of park. this bulletin provides the diagnostic procedures to correct this condition. This bulletin describes the procedure to determine if the vehicle's navigation unit needs to be replaced as a result of the inability to set the clock or view it on the top of the screen. On certain 2017 elantras the overhead console lamp intermittently does not turn on. Hyundai motor america is conducting a service campaign to update the ecm on certain dealer stock 2017 model year elantra with 2.0l mpi engine. service campaign t1d provides a procedure to update the ecm. This bulletin provides information related to the ecm software update for reacceleration and tip-out shift shock improvement. This bulletin provides information related to the engine control module (ecm) software update for reacceleration and tip-out shift shock improvement. This bulletin describes the sd card inspection and replacement procedure for certain sonata and elantra navigation systems. This bulletin describes the procedure to inspect and replace the floor console armrest if the cover material is found to be peeling. On some elantra (ad) vehicles, a noise may develop in the upper side of the front strut mount. there are no vehicle performance issues associated with the noise. this bulletin provides information on replacement of the front strut nut. Hyundai motor america is conducting a service campaign to inspect and (if necessary) replace the console armrest cover on certain 2017 elantra vehicles. service campaign t2i provides a service procedure to inspect the console armrest cover. This bulletin describes the procedure to evaluate warped floor mats. 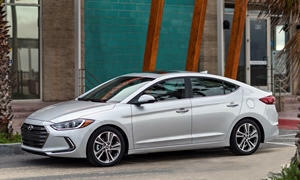 Hyundai motor america is conducting a service campaign to inspect and (if necessary) replace the floor mat on certain dealer stock elantra vehicles. service campaign t1g provides a procedure to inspect the floor mats. This bulletin describes the procedure to inspect and replace the floor console armrest if the cover material is found to be peeling. this peeling condition was caused during the cover material cutting process. Hyundai motor america is conducting a service campaign to inspect and (if necessary) replace the console armrest cover on certain 2017 elantra vehicles. service campaign t1p provides a service procedure to inspect the console armrest cover. If you are servicing an applicable vehicle with a complaint of ¿check engine light on¿ and one or more of the dtc listed below, follow the repair procedure and replace the related solenoid and oil pressure harness. Hyundai motor america is conducting a service campaign to inspect and if necessary replace the sd card on certain 2016-17 model year sonata and elantra vehicles. service campaign t1m provides a procedure to inspect the sd card. The battery mounting bracket was recently replaced on some 2017my elantra vehicles at a port facility. the battery terminals and battery mounting bracket bolts might not have been properly secured during replacement.